A US carrier group led by the USS Ronald Reagan will join US-South Korean naval drills that will take place near the Korean Peninsula in October, Japanese media report, citing the South Korean Defense Ministry. On Monday, the ministry revealed its plans in a report it submitted to the National Assembly, Japan’s Asahi Shimbun reports. 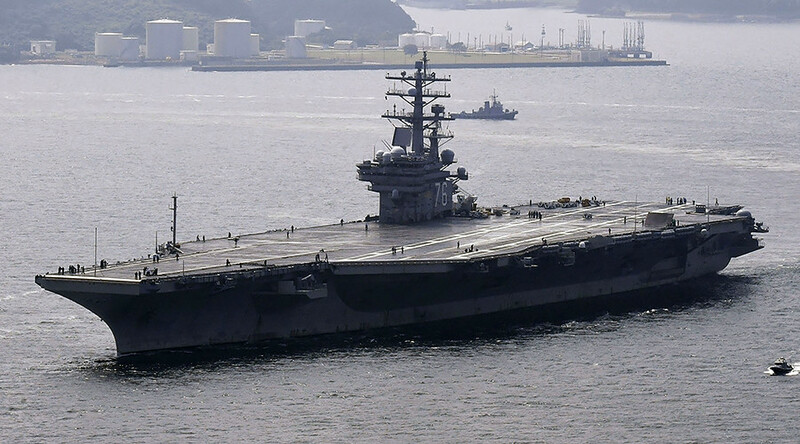 According to the report, Seoul asked Washington to send the USS Ronald Reagan from the US Navy’s 7th Fleet, based in the Japanese town of Yokosuka, Kanagawa Prefecture, to join the exercises scheduled for October. The ministry also planned to conduct joint missile defense exercise together with the US and Japan later in September or in October. The drills are expected to be another demonstration of force by the US and its allies as tensions around the peninsula continue to rise following North Korea’s sixth nuclear test on September 3. Following the test, Seoul held massive live-fire naval drills in the Sea of Japan on September 5 and then conducted a separate joint anti-submarine drill with the US just days later. Seoul also installed four more THAAD missile defense systems in Seongju County, some 300km south of the South Korean capital, in addition to the two launchers already deployed there. The US also repeatedly flexed its muscles in the region following the North Korean test of what Pyongyang claimed was a hydrogen bomb. On September 9, two US strategic B1-B bombers conducted military exercises in the skies above the East China Sea together with a pair of Japanese F-15 fighter jets. 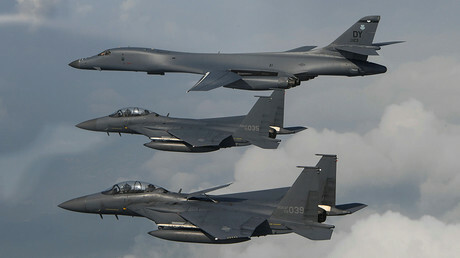 A similar exercise, involving B-1B supersonic bombers and F-35B stealth fighters, was conducted by the US together with South Korea on September 18. The US warplanes flew close to the demilitarized zone along the border between North and South Korea, the Japan Times reports, citing South Korean military sources. Pyongyang also conducted a missile launch, firing a projectile that passed through Japan’s airspace near Hokkaido, triggering a public alert. The missile then allegedly fell some 2,000 km east of the Japanese island. The US and North Korea leaders also exchanged threats of mutual destruction. Moscow and Beijing have repeatedly called for the diplomatic solution of the crisis around the Korean Peninsula and urged all sides to stop the escalation. The two nations have for months been pushing for the so-called “double freeze” initiative that would see North Korea suspend its missile and nuclear tests in exchange for South Korea and the US abandoning their joint military exercises.